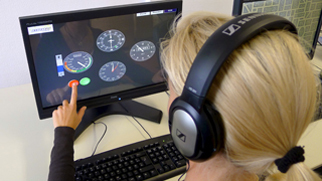 The DLR test for aspiring airline transport pilots applying for training at the Flight Training LFT in Bremen consists of 2 parts; the basic occupational skills assessment (BU) and the company qualification assessment (FQ). 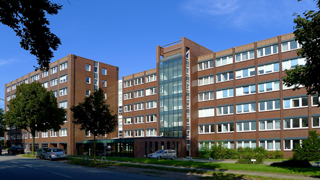 The test is conducted at the German Aerospace Centre (DLR) in Hamburg. The term "occupational" skills assessment already indicates that in addition to the actual test procedure, this also includes a fundamental clarification of the suitability for working as a commercial pilot. In addition, knowledge in the areas of mathematics, physics and English is also tested. In addition to basic mathematics skills, the mathematics test also assesses the ability for logical thinking. With the physics part which includes elements of theoretical pilot training such as electrical engineering, aerodynamics, wave theory, thermodynamic links etc., DLR tests whether the aspiring airline pilot can absorb the theoretical training content at LFT and also whether he/she has a basic scientific understanding of the subject matter. In the English test, the DLR aptitude assessors increasingly focus on the ability to use the language idiomatically in addition to general grammatical skills. The demands in the DLR English test have risen significantly in recent years, reflecting the stiffer requirements for attaining the Commercial Pilot Licence in line with the JAR training guidelines. Step 1. Software training prior to the course. Thanks to innovative training modules, all applicants have access to comprehensive and powerful software even before (!) the start of the seminar. The training software is continuously updated and adapted to the particular requirements of the test. In addition to exercises on the capacity assessment part of the DLR test, the software also includes a powerful analysis module with diagrammed evaluation for the psychological questions. The run-through of the DLR admission test and the analysis of individual performance levels is followed by the well-founded introduction to the respective exercises of the current DLR admission procedure. A further focus in the beginners' training weeks is on subject lessons in: mathematics, physics, English and psychology. Many original questions and problems are studied in detail in the lessons. Training with a personal training plan in a combination of seminar and software training. Based on an analysis of current performance levels, repeater training involves intensive and individual training until ATTC examination standards are reached. Repeater training takes place once the ATTC beginners' training week has been passed; it is free of charge as part of the booking for ATTC trainees and can be repeated as often as desired. The date for the FQ test will be 4 to 8 weeks after the successful completion of the BU test. If the BU has been passed successfully, an invitation to the FQ test will be issued about 4 to 8 weeks later. The FQ test assesses the applicant's psychological profile. The DLR test typically includes the ability to work in a team, working under stress, conflict resolution and a psychological interview; in addition, a mini-screening is conducted in a simple simulator.